Behind my family church is this prayer garden. 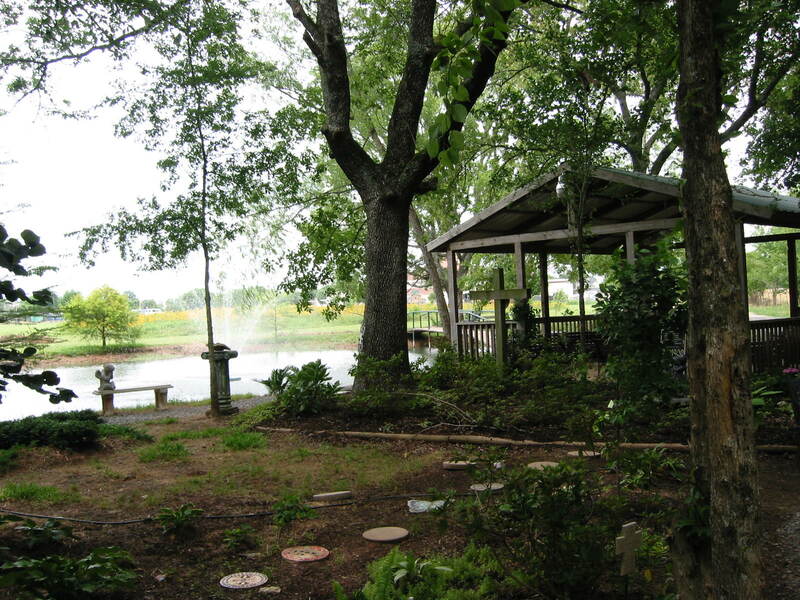 It has a pond, a small chapel, flowers and trees, and it is beautiful. The congregation celebrates Easter Sunrise service there, and has held more than a couple of memorials there. I have conducted a couple of weddings out there, attended a few fishing rodeos, volunteered in a couple of haunted hayrides, and just sat and had lunch. It is a haven of peace and quite squeezed in between a massive retail space and a growing subdivision. There is a dedicated group of folks that help keep it manicured and groomed, and a small group of dedicated boys and men that keep the snake population at bay. Unfortunately, of all the things I have done in the prayer garden, I don’t think I have ever actually gone out there just to pray. It may, in fact, be the only thing I have not intentionally done in the prayer garden. Sort of a shame. There is a dedicated space, a beautiful thin place, set aside for that purpose, and I missed it. I do have an active prayer life. My days are sandwiched between intentional prayer, with loads of smattered and splattered prayers in between. Maybe its time. For a few quiet moments. In a thin place.